How you can win the instruction without being pushy. Estate agents are supposed to be natural-born salespeople. After all, we have the gift of the gab, and an answer to everything, right? But not every agent is comfortable with selling. Some find it challenging and unnatural. When it comes to the ‘pitch’, they trip over their words, and struggle to get their message across to the client. Most of us don’t like being sold to, either. It conjures up images of the sleazy salesperson, being coerced and persuaded to do something we don’t want to do. 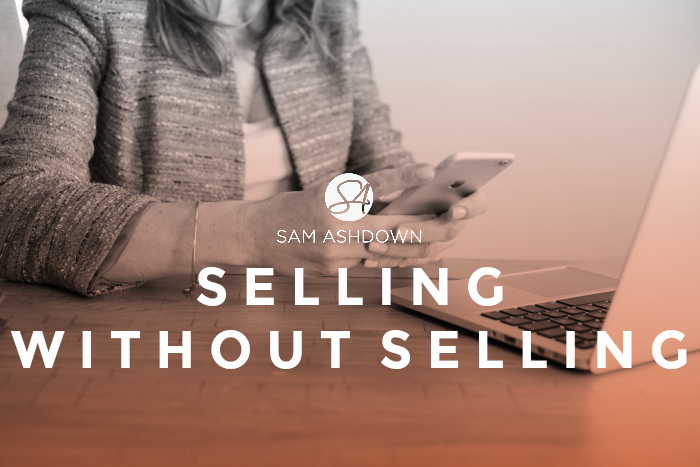 If we don’t really like selling, and our clients don’t like being sold to, what can we do to ensure every sales appointment is a commercial success, whilst avoiding the ‘hard sell’? This is where my approach, ‘selling without selling’ comes in. What do they really want to get out of your visit? How important is it for them to move right now? What will happen if they don’t move? How would that affect them? Be bold, keep your voice soft but your words strong. “So, Elaine, I’ll call you on Thursday at 4pm for your decision.” Now she knows that when you call you’re expecting a decision, and she’s far more likely to give you a ‘yes’ or a ‘no’, and not waste your time by sitting on the fence. Selling without selling is all about making sure you’re a good fit for the client, and they are a good fit for you and your services. It’s about helping them to achieve their goals, and demonstrating that you’re the best person (not company) to help them along their journey. If you can help, guide, inform and advise, there’s no actual ‘selling’ component. Let me know how you get on, I’d love to hear from you. Previous post I bet you’ve never tried this instruction winner!